The vineyards at Roger Goulart – photo courtesy of the winery. I like sparkling wine. Yes I really like Champagne too, but sparkling wine does not just have to be for when you cannot afford Champagne you know – many are superb in their own right. 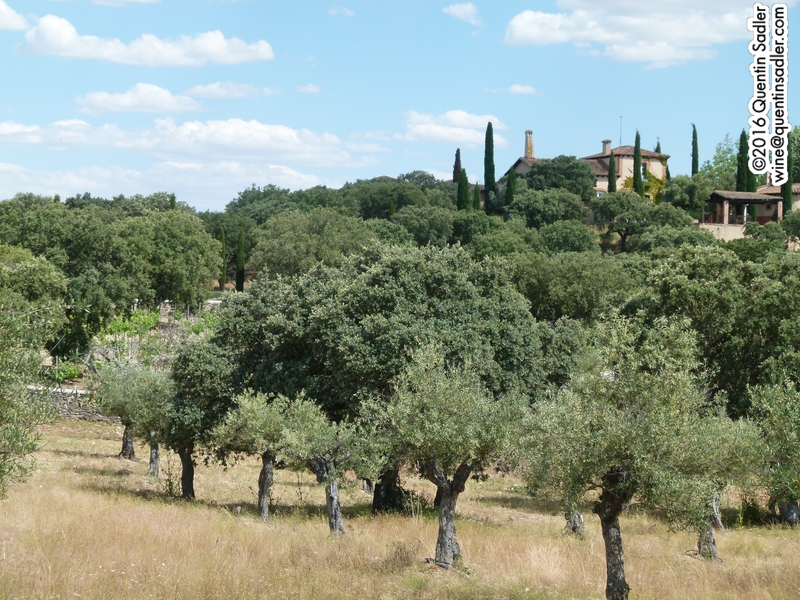 Recently I have tried a couple of delicious Cavas that really got me thinking – why is that in the UK so many consumers fail to see the beauty of Cava and regard it purely as a cheap alternative to Champagne? 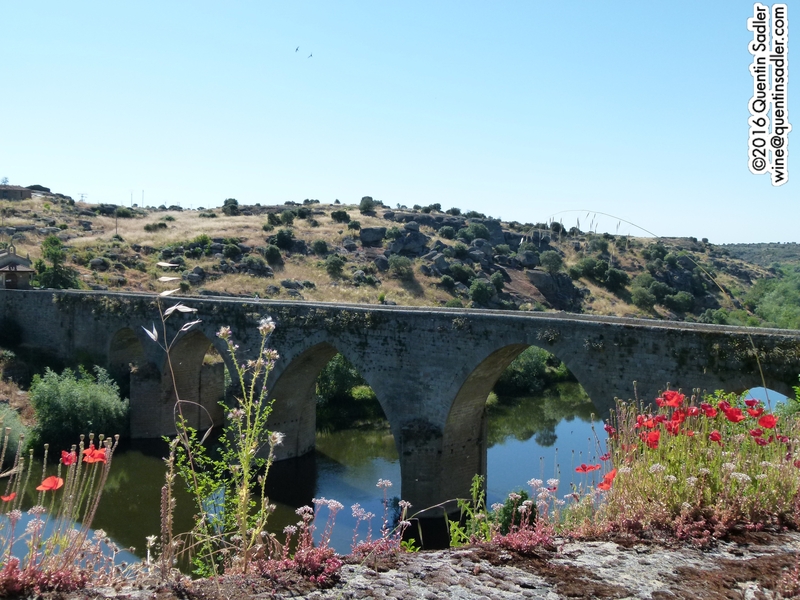 The Cavas that I tasted were both very different, made in different parts of Spain, from different grape varieties, but had one thing in common – quality. They were both really good and would please any wine drinker who was prepared to be open minded and to enjoy the wines on their merits. 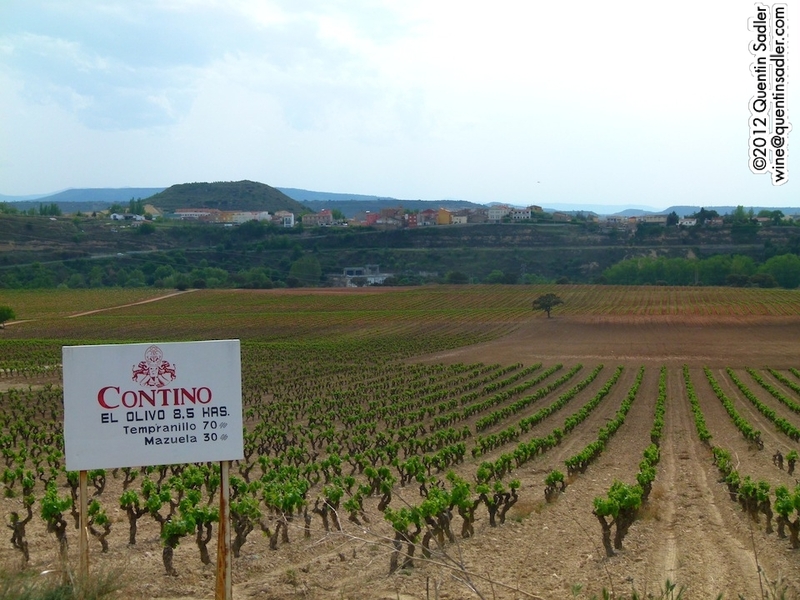 Cava counts as a wine region, because it is a Denominación de origen / DO – or PDO in the overarching EU parlance. 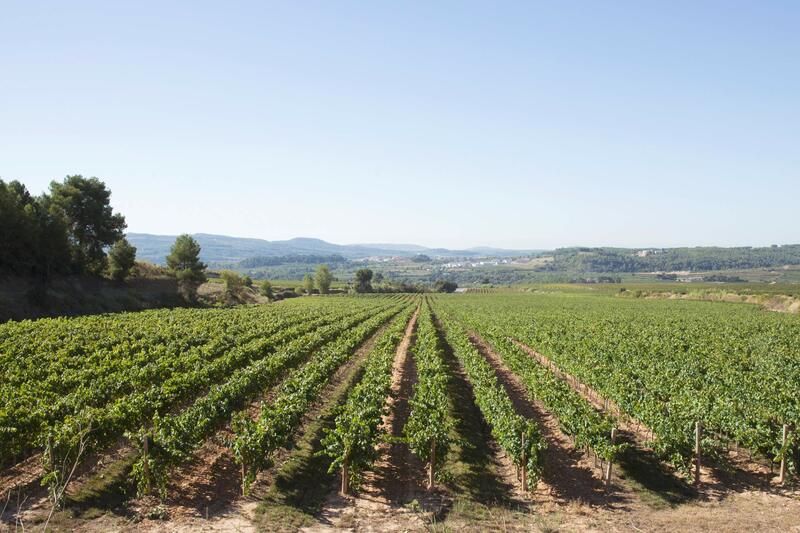 The great majority of Cava is produced in Catalonia, the DO covers great swathes of the autonomous region, but Cava can be made in parts of Rioja, Valencia, Navarra, Aragón and Extremadura as well. 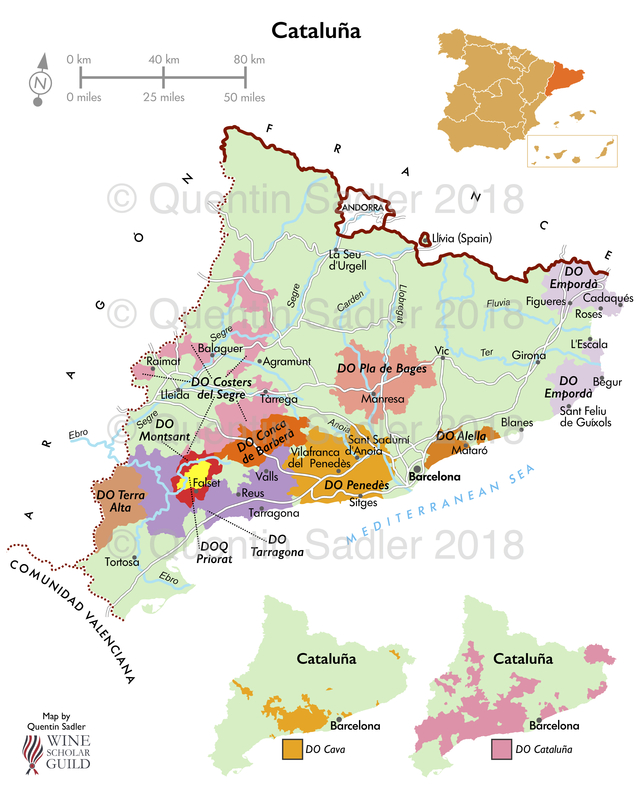 My wine map of Cataluña. 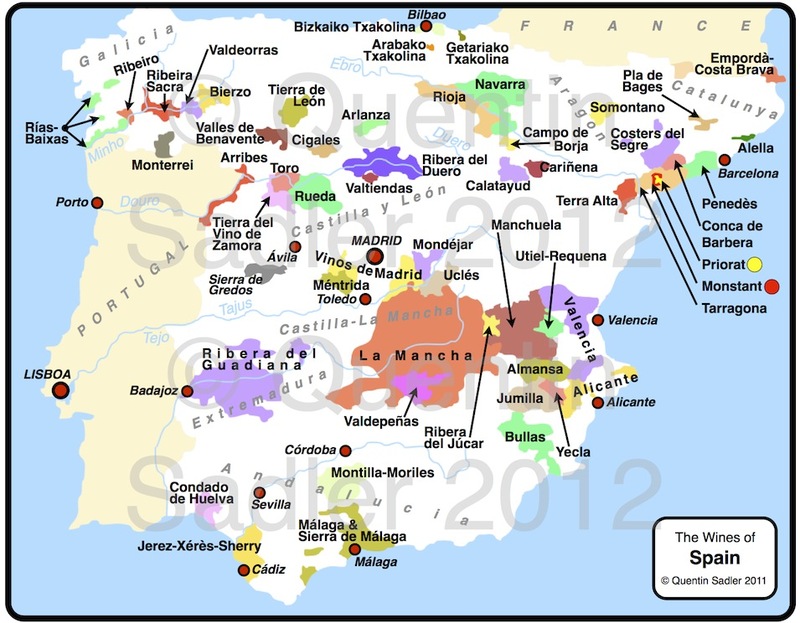 I created this for the new Wine Scholar Guild Spanish Wine Course which will be launched next year. 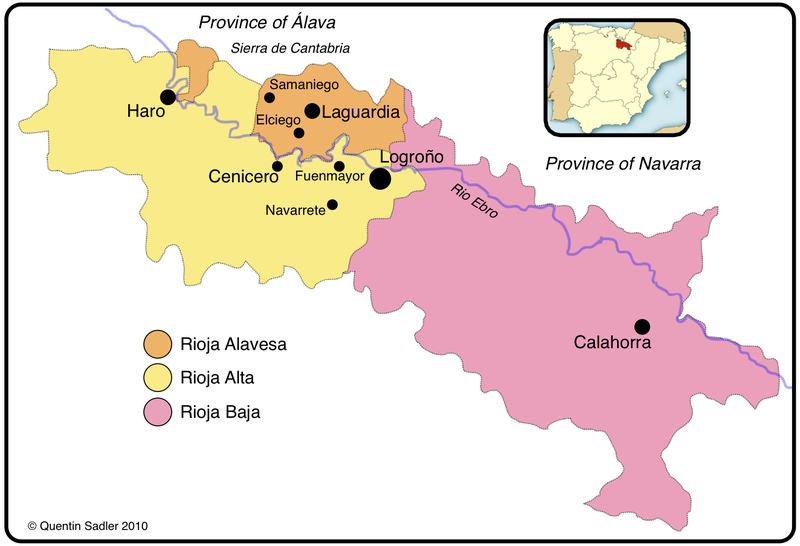 The DO regulates where Cava can be produced. 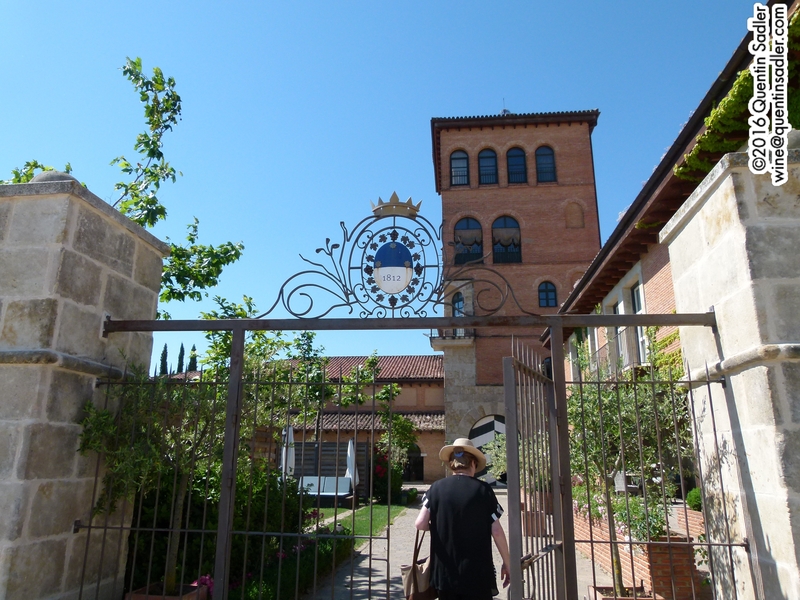 The style was created in 1872 in Penedès by the Raventos family who own Codorniu, one of the two giant Cava companies – the other being Frexinet. 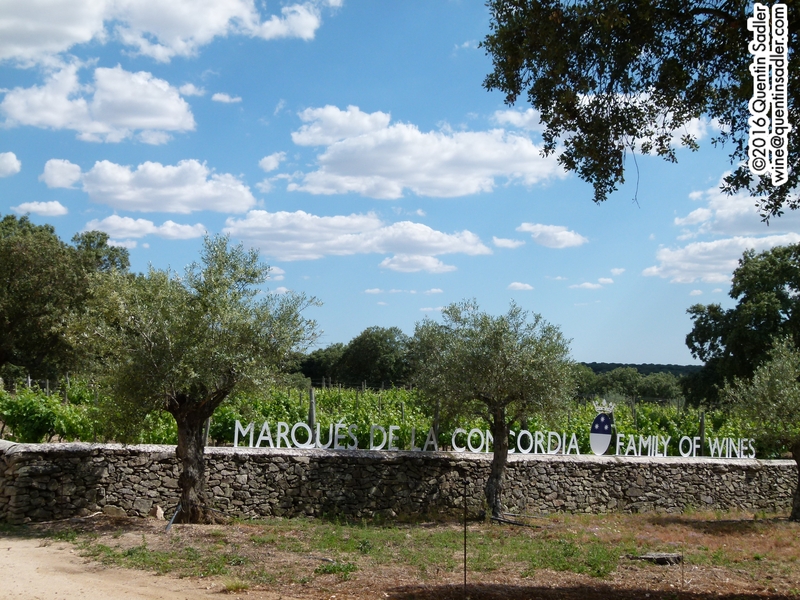 The traditional white grapes are Xarello, Macabeo (aka Viura) and Parellada, but Malvasia and Chardonnay are also permitted. Black grapes are used too – either to make rosado / rosé Cava or white cava in a Blanc de Noirs style – so Garnacha, Monastrell, Pinot Noir and Trepat are also allowed. 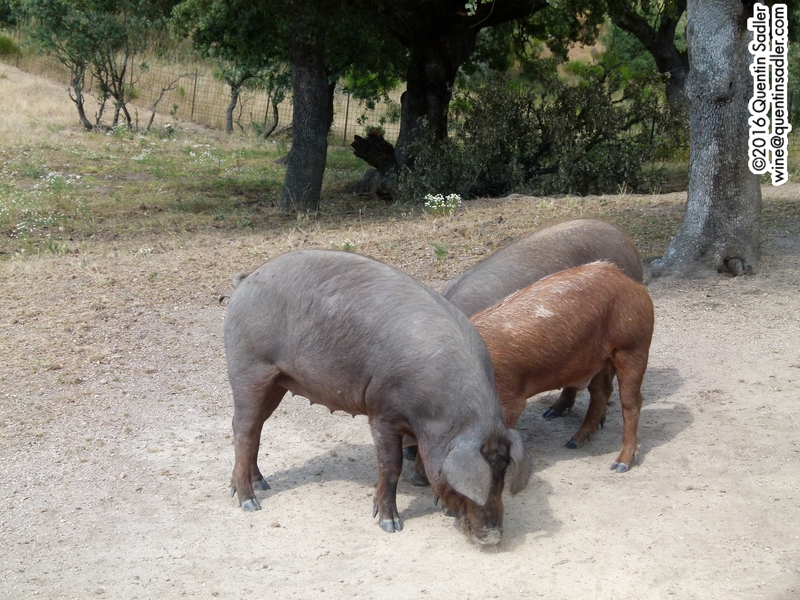 Of course any Cava must be made sparkling by the Traditional Method, as used for Champagne. This process usually makes the most complex sparkling wines. 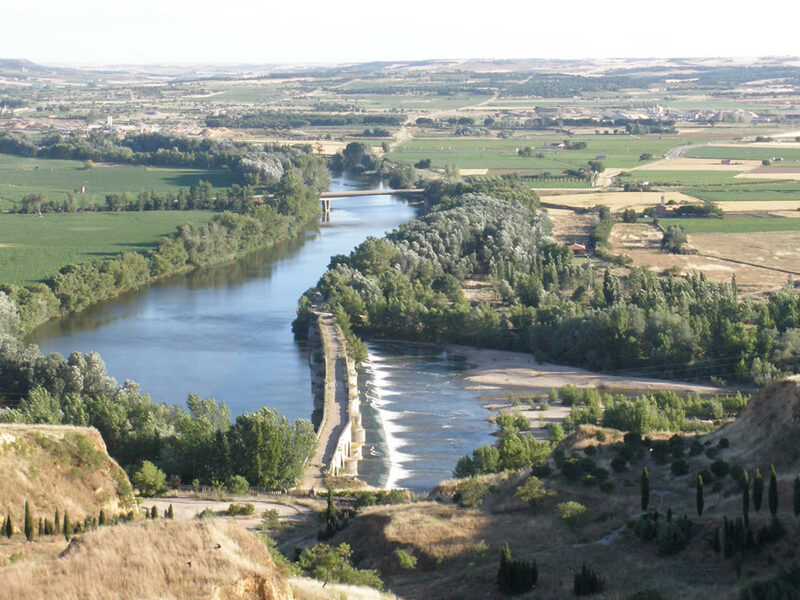 Just like the wines of Rioja – and indeed most of Spain – not all Cavas are equal either. 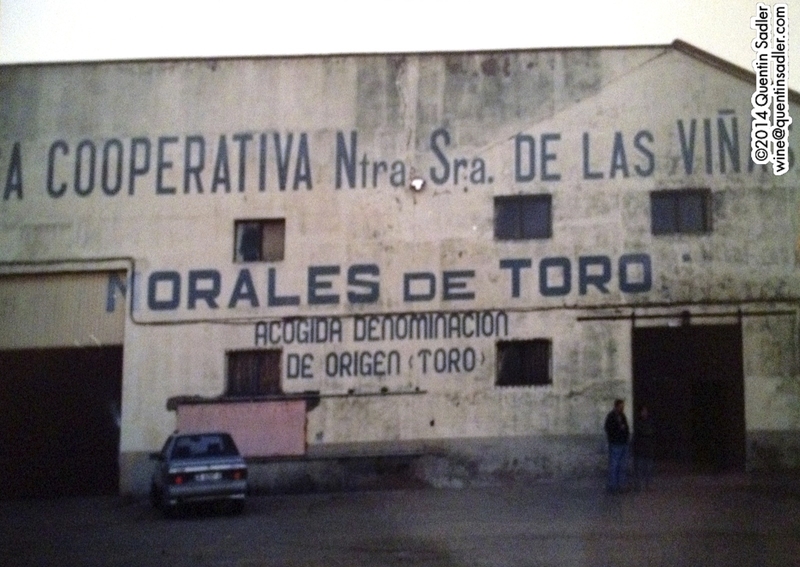 A Cava labelled simply as Cava must be aged on the lees for a minimum of 9 months. 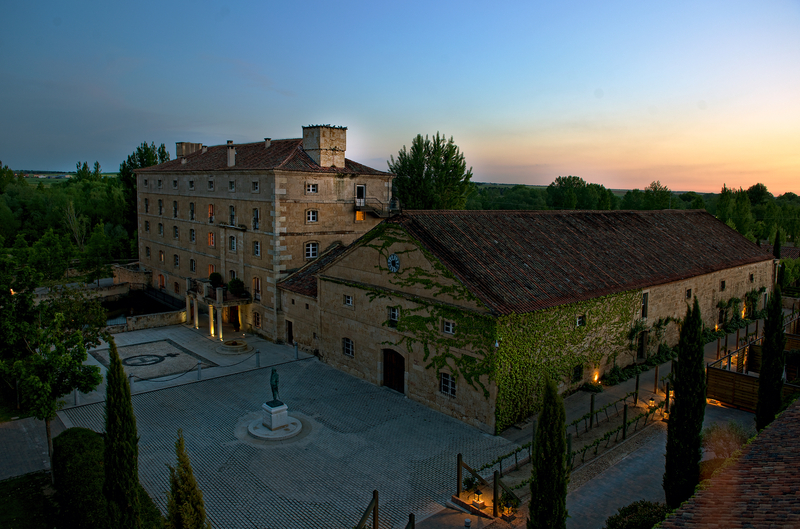 Cava Reserva is aged for at least 15 months, while Cava Gran Reserva spends a minimum of 30 months on the lees. 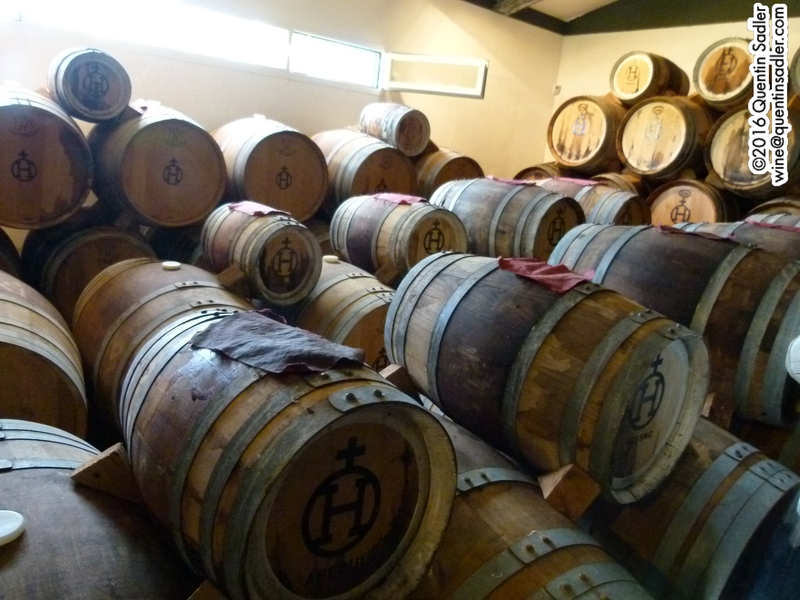 Basically the longer the wine is aged on the lees, or yeast sediment left over from the second fermentation, then the more the wine develops those complex, savoury, bread, flakey pastry and brioche characters. Of course, as in Champagne, the best producers often age their wines for much longer than the legal minimum time. 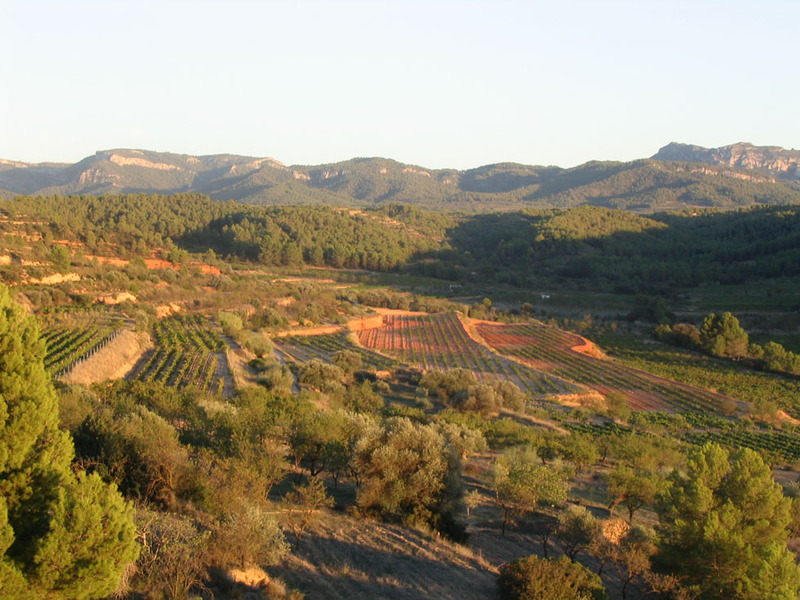 There is also a new top-tier category of single estate Cavas, called Cava de Paraje Calificado. 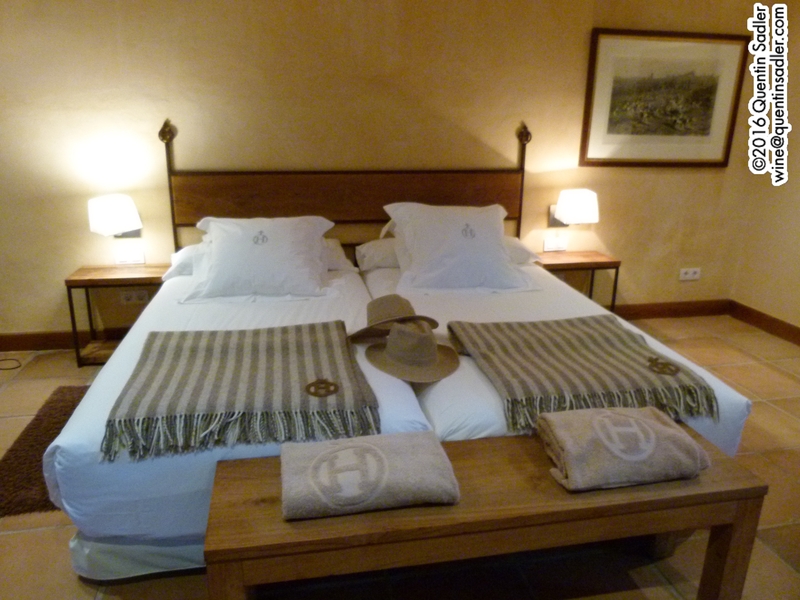 Based in Sant Esteve Sesrovires, which is near Sant Sadurní d’Anoia, Roger Goulart was founded in 1882 by Magí Canals. 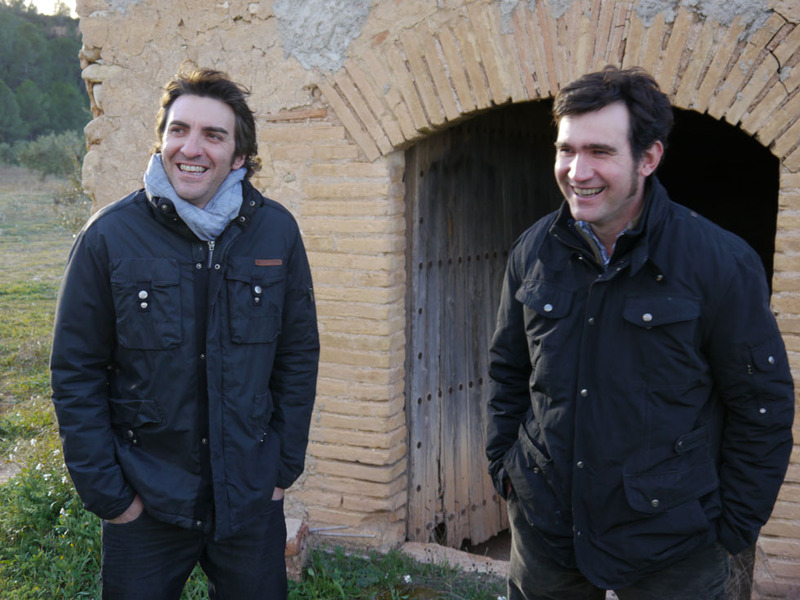 He bought the land from the Goulart family, just ten years after Cava was invented. 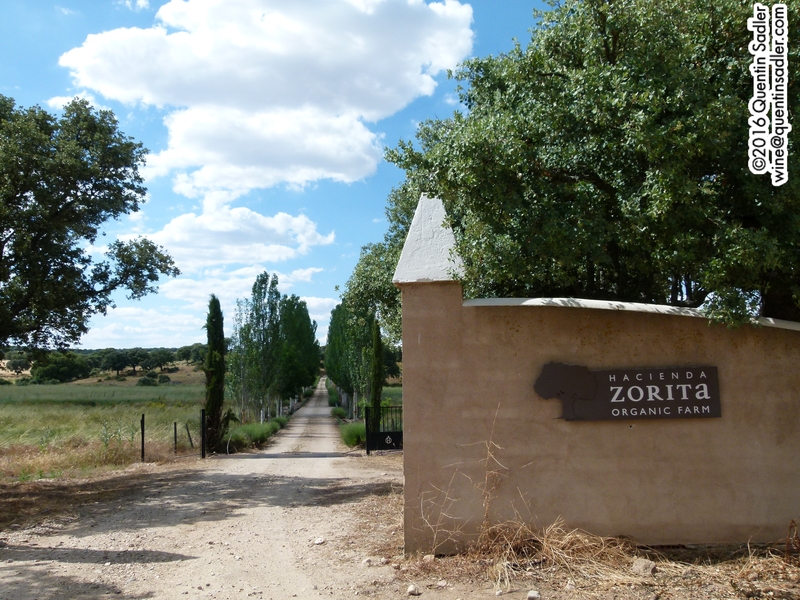 The winery now farms 20 hectares of vines and boasts a kilometre of deep tunnels and cellars where the wines are aged. 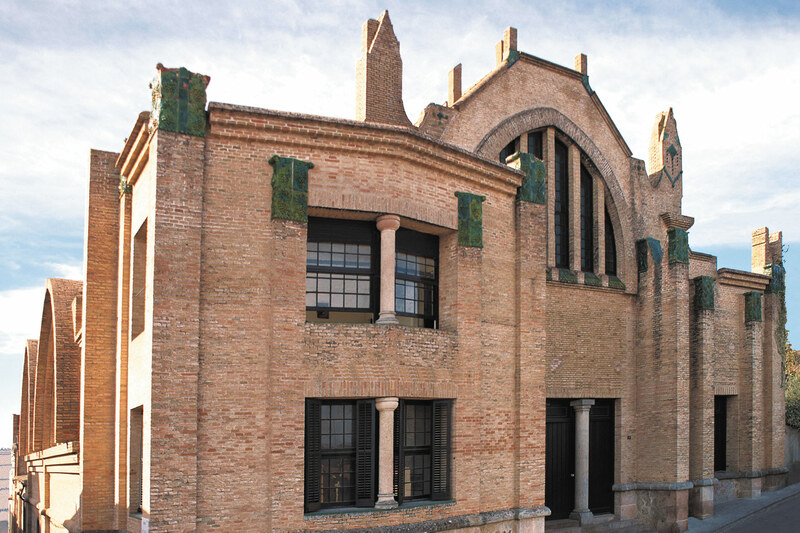 Above ground is a stunning winery designed by Ignasi Mas i Morell who was a contemporary of the great Catalan architect Antonio Gaudí. 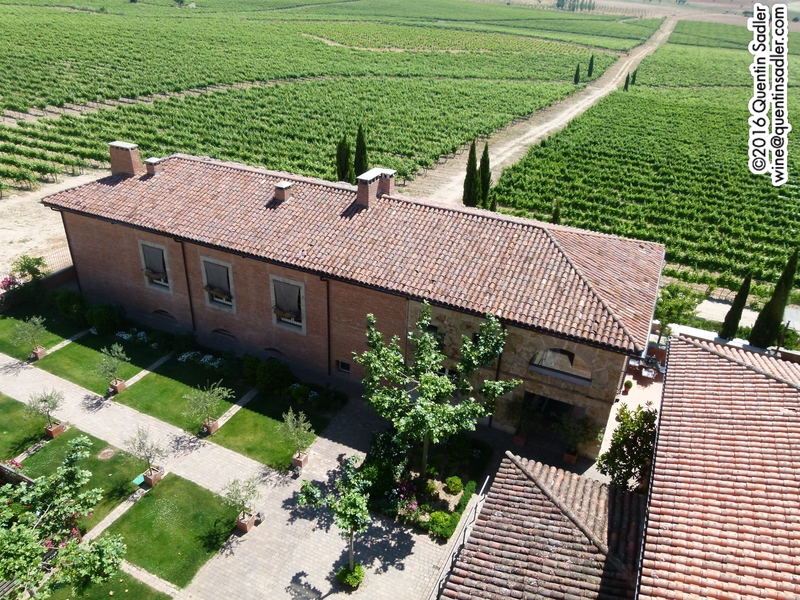 The winery at Roger Goulart – photo courtesy of the winery. Everything here is done by hand with an eye to detail. This wine is a blend of the three classic Cava grape varieties 60% Xarello, 20.0% Macabeo (Viura) and 20% Parellada, although they do also have Chardonnay and Pinot Noir. The grapes are hand harvested in the very early morning to ensure the grapes are in perfect condition and the acidity, so crucial for sparkling wine, is retained. In order to create a richer, more autolytic style, they shake the bottles during the ageing period in order to increase lees contact with the wine and so develop a deeper flavour – a little like bâtonnage in still wines. Goulart aim for complex wines and so age their Gran Reservas on the lees for five years before release. 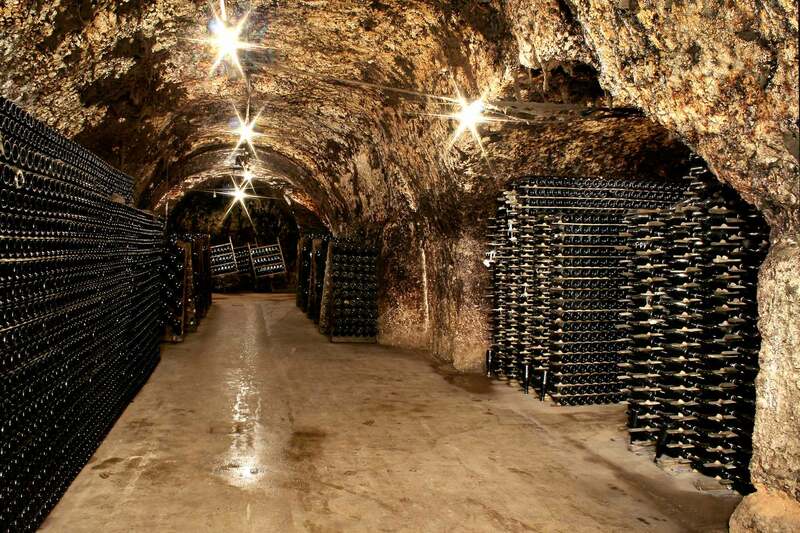 The cellars at Roger Goulart – photo courtesy of the winery. 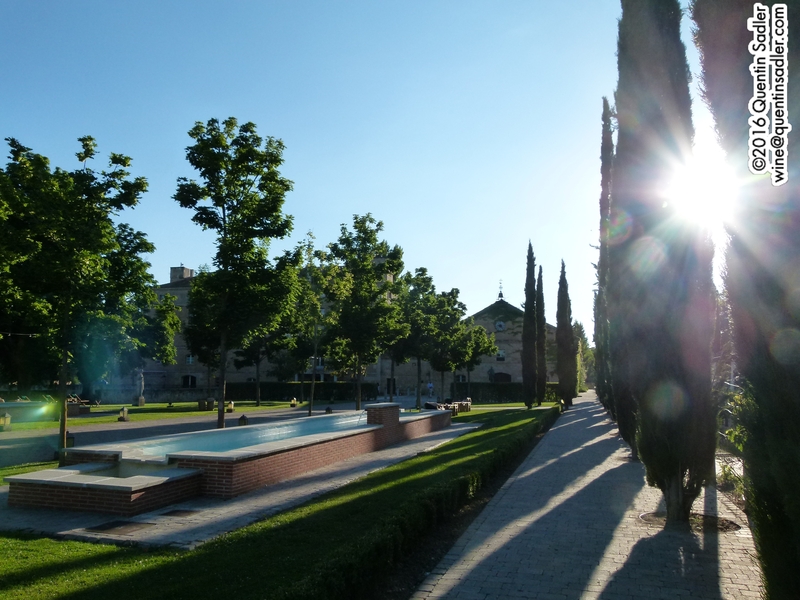 If you have never tasted a fine Cava then this might be the place to start. It absolutely wowed me because it has that softer fruit profile that Cava has, making it very different from Champagne. There is also lovely brisk acidity keeping it refreshing and delicate, which balances the fruit. Then there is the richness, smoky, nutty, brioche and a touch of flakey pastry from the lees ageing – again this is balanced by the acidity and itself balances the fruit. They wine is very dry, but with a touch of fruit softness, while the mousse is very delicate with a firmness to it that makes the wine feel very elegant and fine. This is a great sparkling wine and is very versatile. Don’t just save it for celebrations or as an aperitif. It is fabulous with fish and chips, Asian food and light dishes – 92/100 points. 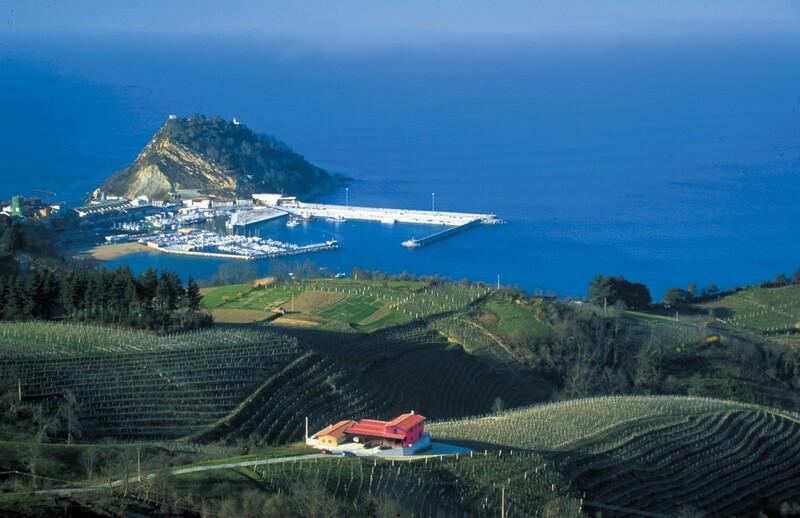 Ameztoi with Getaria in the background, photo courtesy of the winery. I have just returned from a wonderful trip to Australia and New Zealand and will be telling you about some of my experiences over there in the future. In the meantime, I have returned to some very warm weather and so sought out some lovely fresh white wine to enjoy with some seafood so that I could properly celebrate this last fling of summer. 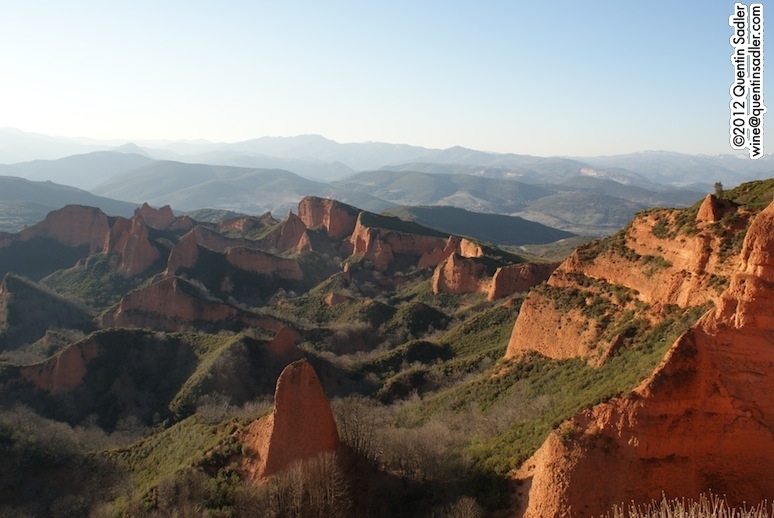 The wine I found was a Txakoli – Chacolí in Castilian Spanish – which comes from the País Vasco, Spain’s Autonomous Basque Region. 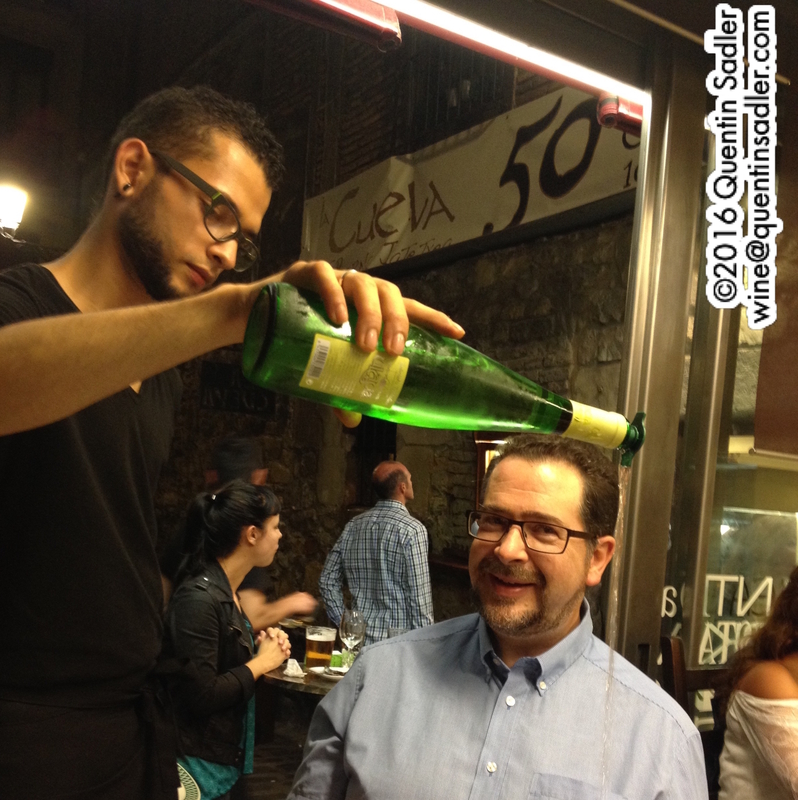 Txakoli is a wine style that I love and have written about before, but until recently it has been considered somewhat obscure. Well now it is becoming much better known and easier to find and I discovered that Marks & Spencer carry a rather a good one. In fact I liked it so much that I made it my Wine of the Week. 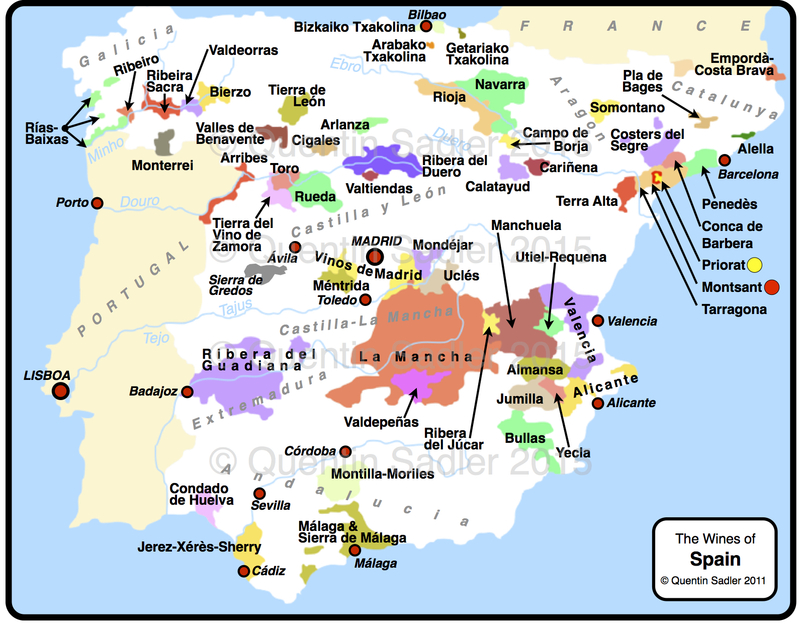 Wine map of Spain, see Getariako Txakolina on the Atlantic coast to the east of Bilbao – click for a larger view. There are three Txakoli DOs, but, much as I like some other Txakoli wines – especially the great Itasas Mendi 7 from DO Bizkaiko Txakolina near Bilbao, try it if you can – UK stockists are here, US stockists here – I am especially drawn to the Getariako Txakolina that is grown on the wild coastline around the beautiful fishing village of Getaria 30km west of San Sebastian. 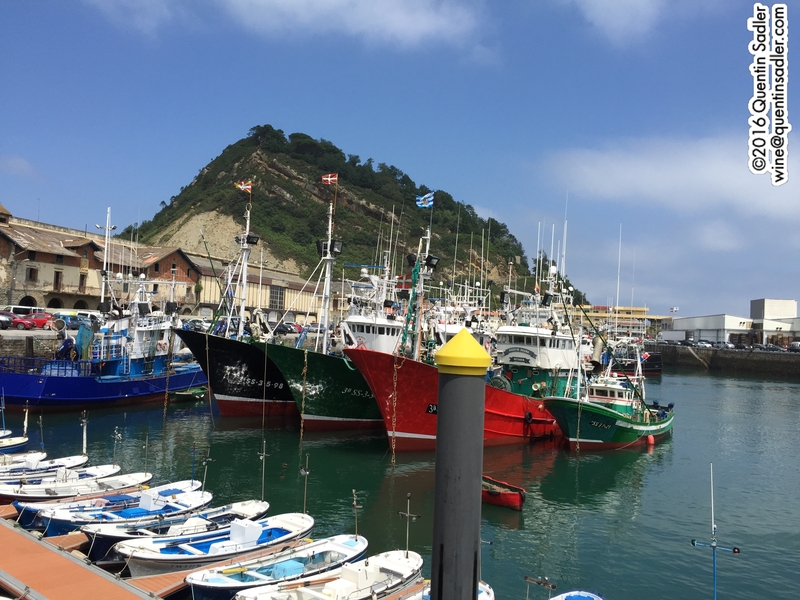 Getaria is a wonderful place almost totally dedicated to hedonism, bars and restaurants line the streets. 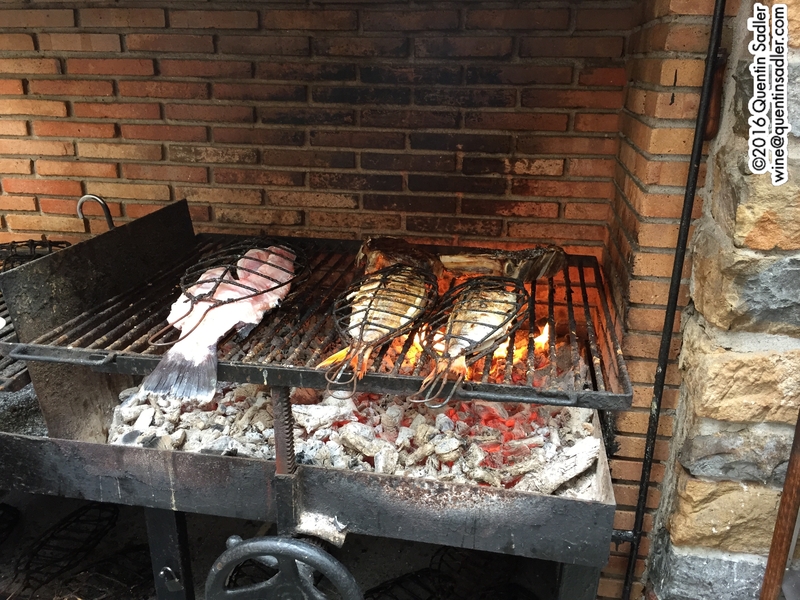 Much of the cooking is done outside, so the smell of grilling fish is a constant and guaranteed to make you hungry. 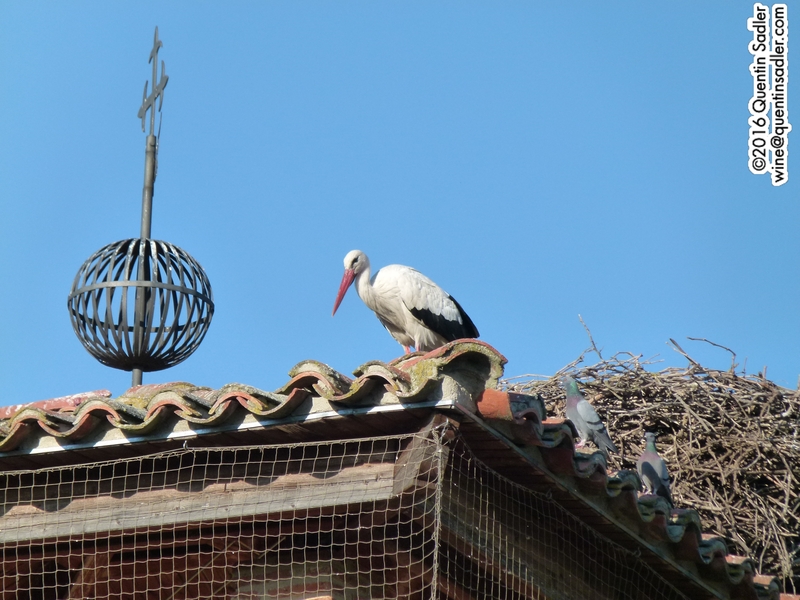 In many ways it works to go there on your way to San Sebastian as it prepares you for the delights to come. Fish being cooked in Getaria. One of the great pintxo bars in Getaria, note the sea urchin and octopus. 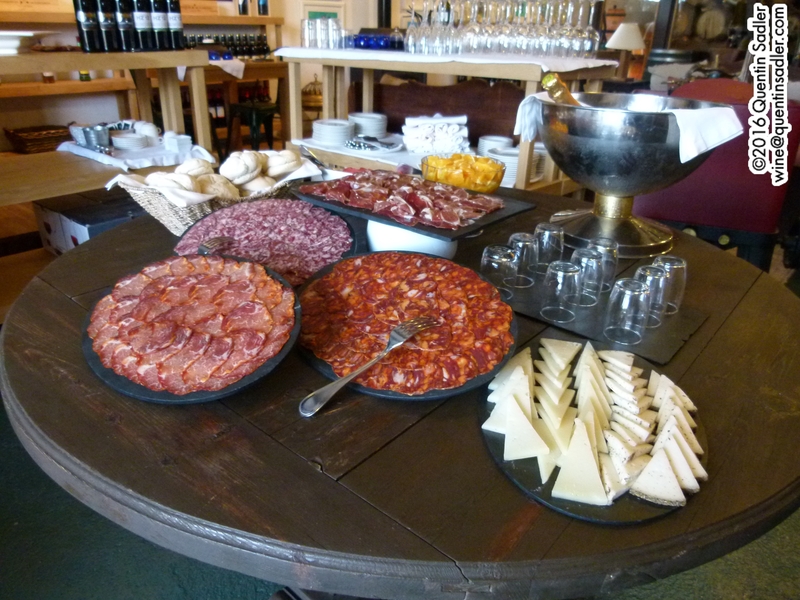 If you are a hedonist and like food and wine, then San Sebastian – Donostia in Basque – is a place you must visit. 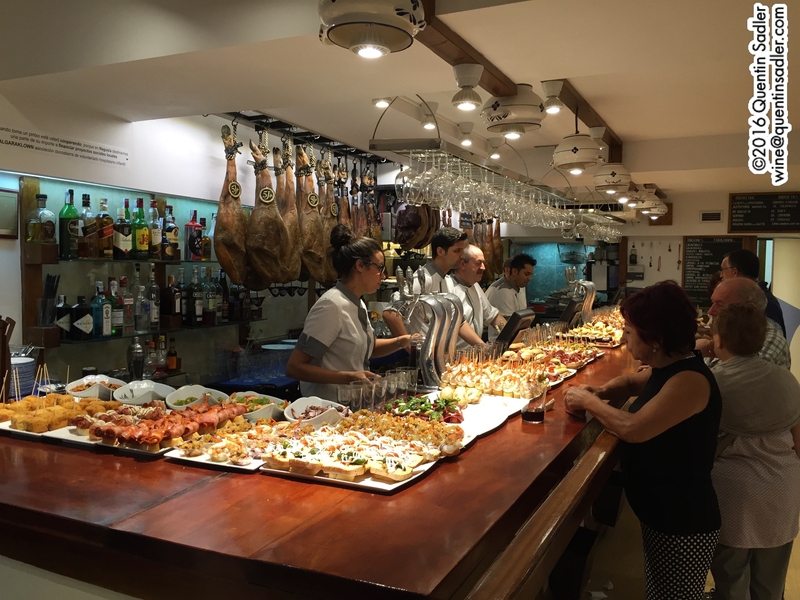 It is teeming with bars and life, the best tapas in Spain – they call them pintxos – and loads of Michelin star restaurants too, if that is your thing. Txakoli should really be poured from a great hight into a tumbler – get a Txakoli pourer if you can. 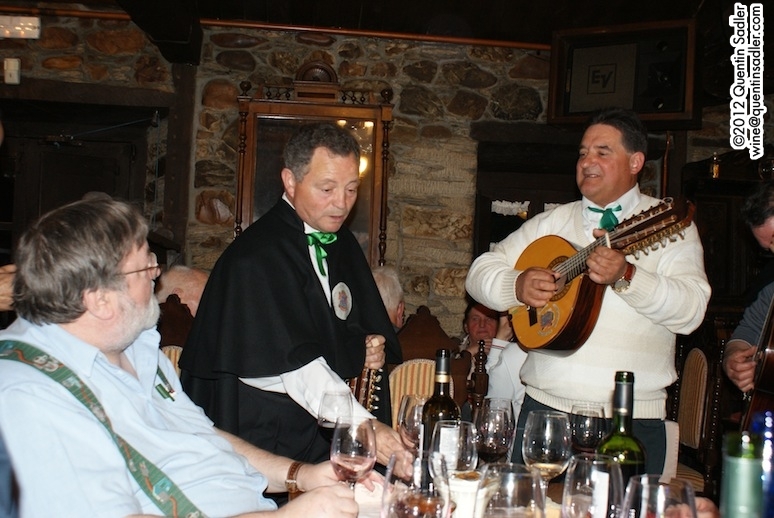 My Txakoli being poured in San Sebastian, note the green Txakoli pourer in the end of the bottle, it helps to aerate the wine and they also use them for cider in the Basque country. 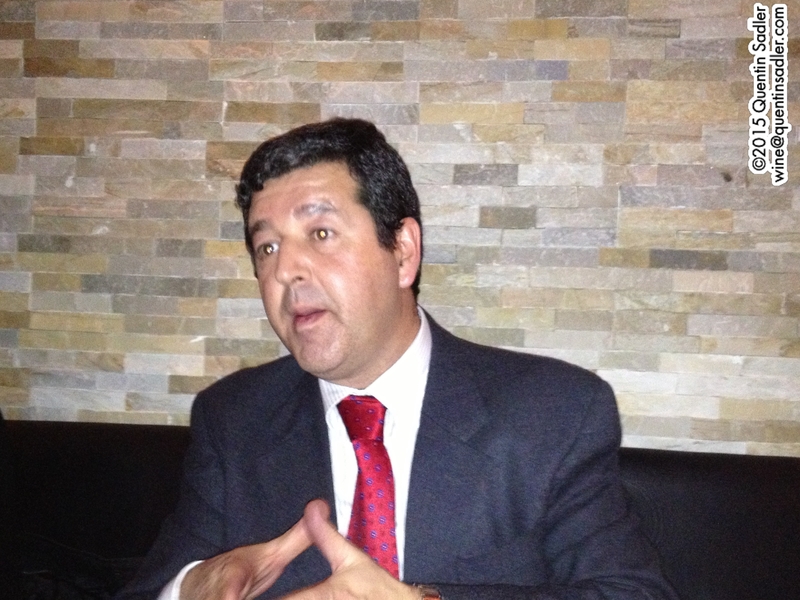 For more detail on Txakoli, read the piece that I wrote for Catavino a few years ago, by clicking here. 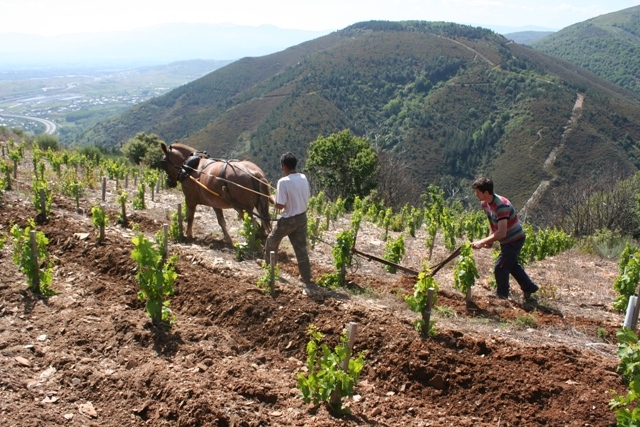 This particular wine is very clever sourcing by M&S, because the producer, Amesguren, are actually the people who make Ameztoi, which along with Txakolin Gorria, is considered the best producer of Getariako Txakolina. So we know the provenance of this wine is good and this wine has a better label than Ameztoi! 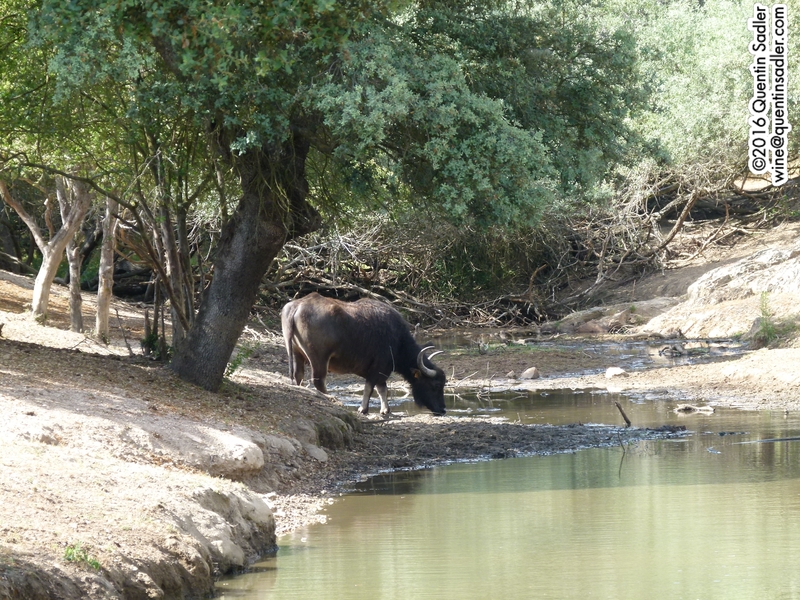 This wine is made from the local Hondarrabi Zuri – I wonder why nobody grows that anywhere else? – and has a light natural fizz from the fermentation, which makes it taste really fresh. And that is the secret with this stuff, keeping it fresh, light and zesty. The nose is floral and citric and has a touch of the seashore and something saline about it. Then it just dances across your palate, light, fresh, zingy, spritz and yet with waves of flavour, lots of light flavour. Green apples, grapefruit, nettles, lime, blackcurrant leaf are all there, but in a sort of sketched in way, rather than in a fully formed picture. Instead this wine wins with a thrilling mineral and crisp acid finish that just whets your appetite for more – more of this, some seafood and anything else. What’s more it only has 10.5% alcohol, so won’t addle too many brain cells either. 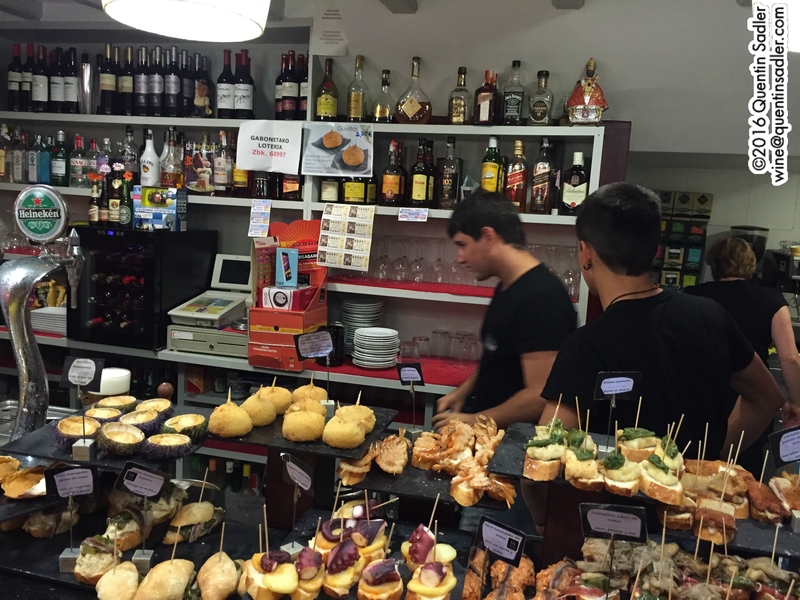 A swankier pintxo bar in San Sebastian. Try it with grilled prawns, scallops, oysters, sea bream, sea bass, sushi, a Chinese takeaway or on its own, anyway you have it, it’s a lovely wine – 89/100 points. Available in the UK for £10 per bottle from Marks & Spencer – right now, September 2016 it is only £8 a bottle. As far as I am aware, Alaia Txakoli is not available in the US, but Ameztoi is well distributed – for stockists click here. 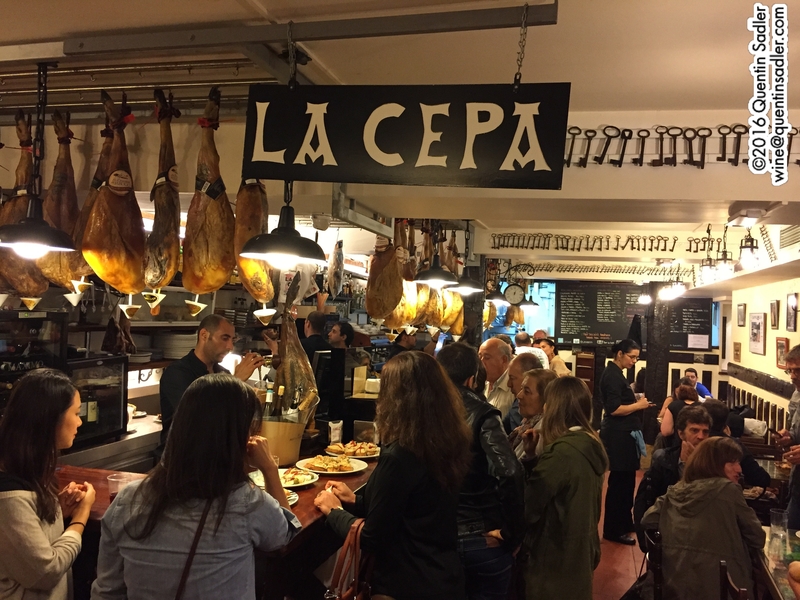 La Cepa, perhaps the classic pintxo bar in San Sebastian.